Fall is a truly spectacular season. Spring is amazing for its energy and youthfulness. Summer is awesome for its sunny days and its carefree vibes. Winter is magical for its holidays. But nothing can beat the awe-inspiring colors of fall in New Mexico. Warm and bewitching at the same time, this season is perfect for couples who like balanced temperatures, produce generosity, and the little touch of nostalgia only fall could bring with it. What are the most important fall wedding trends in 2018? We’ve gathered some of them for you – continue reading to find out more. · Steal inspiration from the seasonal holidays. Thanksgiving and Halloween are two of the biggest holidays – so why not steal inspiration from them? For instance, if you are planning a wedding near Thanksgiving, you could create a wedding menu inspired by the classic turkey dinner. 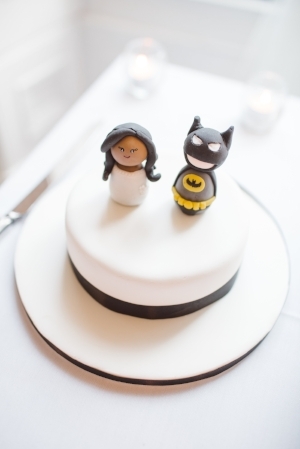 Also, if you plan on having your wedding near Halloween, you could borrow from sweet treats and motifs the holiday (and yes, you can do this in a balanced way, without making your wedding feel like one big spooky party). · Vibrant colors are everywhere. Of course, yellow, orange, and burgundy remain the quintessential fall colors. But if you want to plan something a bit more unique, why not settle on a gemstone-inspired color scheme? Colors like ruby, sapphire, and emerald add a touch of class and luxuriousness to any kind of event, so make the most out of this trend and plan a fall wedding that’s utterly elegant! Still planning your New Mexico wedding? Be sure to come and visit New Mexico Wedding Expos & Guide right now –you will never regret the time you invest in this. We have rounded up the most amazing wedding specialists in the area, so you are bound to find what you are looking for here! Your wedding décor is meant to mirror your personality, your style, your love story. It’s meant to help you create the most amazing atmosphere at your wedding. It’s meant to make you and your guests feel amazing as you celebrate the big “I Do’s”. What are some of the best ways to make sure your wedding décor is really impressive to your guests? We have gathered some tips for you – so read on and find out more. · Color, color everywhere. White weddings are superb, but if you’re not into the ultra-traditional classics, you can always go beyond that and let your inner painter roam free. We’re not talking about painting your entire wedding, but about playing with colors and their liveliness. For instance, your wedding bouquet and your bridesmaids’ bouquets can be created with bold-colored, wild flowers, and there’s nothing wrong with that. · Not just flowers. Albeit important, flowers are not the only décor element in a wedding. There are so many other amazing things you can do with a bit of imagination! For instance, you could turn colorful ribbons and a few maypoles into a creative wedding ceremony canopy or chuppah. This is absolutely perfect for a casual summer wedding! · Forget about white wedding linens. They are an excellent “canvas” for those of you who want to create the kind of wedding décor that’s not risky at all. If you want to really surprise everyone, though, consider choosing wedding linens that are borderline outrageously stylish. For instance, a sequins wedding linen can be an amazing way to add some real-deal glamor to your décor. A white wedding linen with a watercolor-like pattern on it can be a really fun touch too! · Mismatching everything. There’s an almost timeless obsession with matching everything in a wedding’s décor. However, matching the décor elements is not something that absolutely has to be done. From your wedding centerpieces to your bridesmaids’ dresses, everything can be mismatched. Doing this will add a touch of personality to the entire ambiance, making it more you and less “glossy magazine copy”. These Mother of the Bride Duties Will Make Her so Happy! Regardless of how your parents participate in the financial side of the wedding, they will definitely want to help you have a fantastic wedding day. Of course, you want them to be happy too – so you will be searching for the perfect tasks to keep them busy and make them feel involved in this special event in your life. What are some of the best mother of the bride tasks that are bound to make her happy? We have some tips for you – so read on and find out more. · Ask her to walk down the aisle with you (together with your father). Tradition dictates that the father gives away the bride – but this is a custom rooted in patriarchy, so if you are not necessarily compatible with these ideas, why not ask your mom to join in as well? She will feel honored! · Take a multi-generation picture with her and your grandma. These photos are always filled with emotion and grace, so she will be more than happy to participate in this special photo shooting (and so will your grandma, of course!). · Steal something from her wedding. It may be photos of her Big Day that you use for the table décor/ table numbers. It may be a small piece of her wedding dress you have transformed in a delicate lace necklace. It may be her wedding song. Whatever it is, it will show her just how much she means to you – and how important her lessons are for your future. · Include her best recipe in the wedding menu. Does your mom make heavenly-good cookies? Steal her recipe (or ask her to bake a large batch) and serve them to your wedding guests. The same goes for any type of wedding food your mom has a special recipe for – we guarantee she will feel proud to share it with you for the Big Day! · Take her with you to a bridal show. She may not be that savvy searching the Internet for the best wedding DJ, but bridal shows is how she planned her wedding – so she will feel right at home attending them with you. You do need someone to help you stay focused when you’re amidst so many amazing wedding specialists – and your mom might just be the person for the job. Summer weddings are madly popular for a very wide range of reasons. The chances that you get great weather on your wedding day is just one of the reasons – the wide variety of flowers and fresh ingredients for your wedding menus is another. Of course, you want everything about your New Mexico summer wedding to be perfect – and obviously, that includes your bridal bouquet too. How do you make sure your bouquet will look fresh throughout the entire day, regardless of how hot it gets outside? We’ve gathered some suggestions for you – so read on and find out more. · Hawaiian Hibiscus. Given that this is the national flower of Hawaii, it would definitely make for a wonderfully resistant option regardless of how hot it gets outside on your wedding day. Plus, this type of bloom comes in a very wide range of colors and it can be included in a million-and-one combinations, so it can definitely work for pretty much any type of wedding. · King Protea. This exotic-looking flower is a downright superb choice for pretty much anyone looking for a unique bouquet able to stay fresh in the highest temperatures out there. Combined with the right greenery and maybe even other types of flowers, King Protea will be a superb choice for sophisticated brides who really want to make a statement when they walk down the aisle. · Non-flowers. Greenery bouquets, succulent bouquets, plant-based bouquets – they are all very popular right now, and truly, they do make for the most wonderful choice when it comes to bridal bouquets. Plus, these options have no petals – so this means there’s much less likelihood that they will wither when faced with the heat. Not to mention how beautifully original and amazing they look! · Garden roses. Believe it or not, you don’t have to break your budget to create a bridal bouquet that will actually be able to stay fresh on a hot summer day. If you’re searching for a true classic, the garden rose is a beautifully romantic choice. The wide variety of colors is definitely appealing! You want your gift to your bridesmaids to be remembered, so make it special. There's a new online boutique - bridesmaidgiftsboutique.com - that offers 100+ options. From tumblers to jewelry and robes to bags. Several of them are monogrammed or personalized to make it something you know they'll love and keep. We wanted to check them out and see about the quality of the gifts from the site, so we ordered a tote. It's grey and white and cute! It's well made and I'll have no problem with throwing it over my shoulder for a weekend, stuffed with supplies. So whether you're looking for something in the $10 range or up to $50, you can get your girls a gift on this simple, easy-to-use website and have that task off your to-do list. Did You Know These Wedding Dress Alteration Tips? Finding the right wedding dress is an important milestone in every bride-to-be’s life. And that’s perfectly normal: you want to look really great on your wedding day and your dress is obviously important when it comes to that. · Unless the dress was specifically made to your measures, expect that you WILL have to have it altered. As for the cost of doing this, it is, of course, very important to make sure you include it in your wedding dress budget from the very beginning – specifically because this won’t come cheap. Depending on the fabric your dress is made from and on its design’s intricacy, you can expect to pay between $400 and $700 for quality wedding dress alteration services. · The good news is that you don’t have to do this at the bridal boutique you bought the dress from – or at least not in most cases. Depending on the type of boutique and the type of dress and alterations needed, this could save you quite a lot of money. · Remember: you should order your dress about 8 months before the wedding date because this will allow you with plenty of time to receive the dress and attend the necessary fittings. In general, brides need about 3 fitting appointments to bring the dress in perfect shape – so make sure you have reached your goal target by the time you have to attend your last fitting (about one month before the big date). · Last, but not least, keep in mind that you should be prepared for your fittings and that you should bring along all of your accessories – especially to the last appointment. Bring your wedding shoes, your wedding veil, your cape (if you have any), your jewelry, and, of course, your undergarments. This will paint an accurate picture as to how you will look on your wedding day, so that your seamstress can make the necessary alterations. Getting engaged is bound to make you feel really excited – so it’s easy to forget there are some rules you still have to follow (and even more, there are etiquette rules that have taken shape precisely because of our very modern, connected lives). For example, do you know what are the things you should NOT do on social media when you get engaged and planning your dream wedding in New Mexico? We have some tips for you – read on and find out more. · You should NOT share engagement pictures before announcing your parents and your closest friends. This is pretty much common sense, especially given that you don’t want your former classmate you didn’t get along with to find out before your own mom does. Furthermore, waiting for a bit longer will give you the opportunity to shoot really pretty pictures you’ll be even prouder to share online. · You should NOT share wedding registry information on social media. This is considered to be tacky, so it’s best to stay away from the practice. The only place acceptable to share your wedding registry is your wedding website (or going the old-school path and letting your closest friends and family members spread out the news). · You should NOT complain about wedding planning on social media. Just don’t, even if it might feel the easiest thing in the world. Nobody wants to see a bridezilla when they log into Facebook – you wouldn’t like it either. So why not sit down, calm yourself, and talk to someone in your entourage about the things that are stressing you out, rather than lashing out to strangers? You should NOT forget about the wedding hashtag. It’s not a true MUST of modern wedding etiquette, but it’s such a nice addition! Not only will it add personality and uniqueness to your wedding day, but it will also allow guests to share photos under the same hashtag – and consequently, it will allow you to collect these pictures much easier than otherwise (all you have to do is search up your wedding hashtag the day after the wedding). Considering a black & white wedding? Considering a Black and White Wedding? Hear These Tips Out, Then! Many people believe black and white can easily become boring, especially when used for the décor of a wedding. However, that is not entirely true. At the end of the day, pulling off a black and white wedding in New Mexico can make a huge statement and it can be just the kind of event that will always be timeless. How do you do it, though? What are some of the black and white elements you could play around with when creating your wedding? We have some tips for you – read on if you want to find out more. · You don’t have to go full-black with the accessories. A black wedding belt or bow may feel slightly outdated, but a pair of black crystal earrings or a clutch purse with black and white Swarovski crystals encrusted in it will look timelessly classy. In fact, this kind of black and white accessories are bound to make you feel like a Hollywood diva in the 40s. · You really don’t have to ruin white flowers and paint them black either. You can just have a simple white flower-based bouquet and wrap it in something black (we’d stay away from satin, as that can feel outdated as well). Or, if you want that pop of darkness in your actual bouquet as well, choose white anemones for it. They have a darker center that is very close to black – and they are bound to look absolutely elegant as part of your black and white wedding too. · If you cannot wear a lot of black (although you totally can, because even designers are coming up with GORGEOUS black wedding dresses), your bridesmaids surely can. In fact, they will be happy to wear black – and from a number of points of view. Not only is black universally flattering, but your super-ladies will definitely find it easy to wear a black dress to any other event as well. Plus, black dresses come in all fabrics, styles, and lengths imaginable, so you can definitely find something that coordinates them, so that your bridesmaids look great in the pictures. Your wedding ceremony is bound to be a river of emotions – but your wedding reception should be nothing less than absolutely FUN. It should be a big party you throw to celebrate your love story – and it should help guests create the kind of memories they will never forget. What are the best tips to help you make your wedding reception feel incredibly entertaining and memorable? We have some tips for you – continue reading and find out more. · Make sure your wedding speeches and toasts aren’t too long. The shorter they are, the sweeter they are. It’s not that your guests don’t want to hear out these candid words, it’s just that too much of this moment and extending it for far too long into the reception will most likely bore out a lot of people – and that’s the last way you want your wedding reception to start. · Mix up your wedding First Dance. This is an ultra-romantic moment – but it doesn’t mean you aren’t allowed to “break it” into a fun, entertaining moment for your guests to enjoy. Mix up different songs you and your loved one like and make this a mini-story – people will absolutely enjoy it! · Mix up your wedding music too. Speaking of mixes, it is very important to make sure your wedding DJ and/or band can play different songs and different genres at your wedding. This is crucial because your guests are very different, so they are more than likely triggered to dance by different types of music. Including as many genres and musical decades is, thus, something you absolutely must make sure of! · Bring in a little extra too. Have you considered hiring someone else, other than your DJ and/or band? There’s a ton of options out there! A caricaturist, a chef to live-cook food in front of your guests, a food truck to delight them with a late night snack, a fire acrobat, a magician (for the little ones) – there’s really something for every couple’s tastes. Bring in an extra-entertainer and you will not regret it! OK, 2019 may feel very far away, as we haven’t even reached mid-2018. However, for a bride who just got engaged in New Mexico and who wants to make sure she has enough time to plan ahead her Big Day, finding the right wedding dress will soon start to be a priority. What are the wedding dress trends of 2019, though? We have some ideas for you – so read on and find out more. · A lot of shine. It’s not the satin shine of the 2000s, but a shine given by sparkles in all shapes and colors, industrial amounts of glitter, pearl embellishments, and everything in between. If you want to go grand in 2019, the best way to do it is by choosing a design that dares to shine and be more glamorous than anything ever before. · Special sleeves. OK, we know you might be thinking of those oversized puffy sleeves of the 80s, but it’s not the case here. There are various interpretations of those sleeves that get a far more modern touch today, and there are other types of “special sleeves” too (e.g. the detachable ones, which seem to continue the off-the-shoulder wedding dress trend, bringing it to a whole new level). · Royal touches. It’s pretty much expected that the royal wedding on the 19th of May will influence the wedding world for at least one year from now on (and even more, if you think a lot of brides are still in love with Kate Middleton’s dress!). Therefore, prepare yourself to see a lot of trends that include tiaras, over-the-top wedding trains, and real opulence in all things wedding dress-related. Plus, expect to see Meghan Markle’s wedding dress re-interpreted for many months from now on. · Ultimate minimalism. If you’re not one to fall for the over-the-top dress trend, you will definitely love going towards the more minimalist extreme. Simple cuts, simple fabrics, simple designs – they have their own special type of elegance that looks marvelous, especially in an urban setting – so why not embrace the trend as well? Check out Uptown Bride in Albuquerque for the latest in fashions and selections. Your parents are absolutely amazing. They not only raised you to be a wonderful adult, but ever since you got engaged, they’ve been nothing but supporting, caring, and loving with you and the person who will enter their family as your life partner. Of course, you want to show your parents how much they mean to you – and offering them a pretty wedding gift is one of the best ways to do this. When is the right time to give your parents their wedding gifts? We have some ideas for you – so read on and find out more. · Most couples do it during the rehearsal dinner. And that’s perfectly fine. The rehearsal dinner is official, it’s close to the wedding itself, and it just feels a little less chaotic than the wedding day – so take a few minutes to privately talk to your parents and thank them for all that they’ve done. They will definitely tear up! · The morning of the wedding is just as good a time as well. You will most likely have a getting ready session and your mom will be invited. Even more, you might even want to have a First Look photo session with your father. The morning of the wedding is quieter than the reception and it’s filled with the emotions and nervousness of the event ahead of you – so it’s a really wonderful time to offer your parents the amazing gifts you’ve picked up for them. · The morning after the wedding is really great too. Want to make sure you really have the time to make this the wonderful moment it deserves to be? Push the wedding gift giving to the morning after the wedding – but only if you know your parents will be spending the night at your wedding location. Make this a mini event – organize a small brunch for you parents and closest friends, and offer their gifts then. It’s a really nice way to wrap up the most unforgettable event of your life! Wedding etiquette can be a downright awful affair if you don’t know where to start, or better said, which of the etiquette rules are still standing, even today, in 2018. Of course, things have changed a lot since your mom got married, but some of the rules are still as strong as they were a couple of decades ago. What are the mistakes you might be tempted to make, but which should be definitely avoided? We have some tips for you – so read on and find out more. · Not being very clear, with absolutely everyone, on who is invited and who is not invited. It’s perfectly fine to not invite plus-ones (unless they’re married or in very serious relationships). And yes, it’s OK to not want to invite kids as well. These are personal choices and your guests will definitely want to respect that. However, if you want to do this, you want to make sure you are very clear about it from the RSVPs. Simply wording the RSVPs in a way that makes it clear who’s invited and who’s not will make the world of a difference and will avoid very awkward situations on both sides! · Not specifying the location of the wedding on your Save the Dates. It may feel there’s a very long way to go between now and the wedding, but the reason you’re sending out Save the Dates is because you want to make sure everyone can attend. That means some people will have to take a day or two off work, they have to make travel arrangements, as well as financial plans – and to do that, they need not only the date of the wedding, but also the location. Make sure you include it! · Using pre-printed Thank You cards. Your guests took the time to actually attend your wedding, bring a gift, and celebrate your love story. Each of them deserves a hand-written Thank You card from you and there’s absolutely no negotiation on this! Yes, it may take a bit of time to actually write down your thank you notes (especially if you have a lot of guests), but it’s the right thing to do! Summer is almost here – and together with it, we’re all looking forward to see a lot of outdoor weddings happening. Of course, many types of New Mexico wedding venues offer outdoor options – but what if you want an intimate backyard wedding? Well, they’re very popular these days – and you have all the reasons to settle on the idea too. Following, we have gathered some of the best backyard wedding planning ideas – so read on and find out more. · Location does not need to dictate your style. So, if you live in New Mexico, but want a wedding that’s more inspired by the bigger cities in the North, you can totally do it. The key here lies in making sure you bring together elements of both worlds: the heat and exotic touches of New Mexico, combined with the minimalist and timeless touches of the Northern cities. · Likewise, if you don’t have a house large enough to host a wedding (or if you live in an apartment), you still have options. If you choose the right wedding venue, you can actually create that backyard vibe even if you’re not actually at home. A long rectangular table (or a bunch of smaller, round ones arranged closely to each other), a wedding tent, cozy and comforting foods served family-style – these elements will make your wedding venue feel a lot more familiar and comfortable for everyone invited. Remember though, if you want a small wedding, you should make sure the venue is not too large – otherwise, you might end up with a space that is obviously empty (which tends to make the event feel less “backyard-esque”). · There are also cases when brides don’t necessarily want a backyard wedding, but a themed one – but their own backyard makes a lot more sense from a financial point of view. Again, it can be all done with the right décor. For instance, if you want a rustic barn-like wedding in your own backyard, opt for dark rental furniture, use simple table linens and runners, and bring in a lot of greenery. Creating Your Wedding Website? Here Are the Top Tips to Keep in Mind! Having a wedding website is so advantageous, and from so many points of view! It’s an easy way of communicating important details with your guests, an even easier way of centralizing information from them, and a truly great way of showing off your entire New Mexico wedding planning process. Plus, building a wedding website can be actually inexpensive (and even free) - so you really have all the reasons to love the idea. 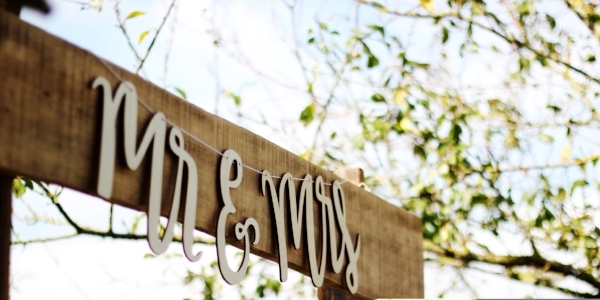 What are some of the elements your wedding website should absolutely include? We have some tips for you – so read on and find out more. · Include an RSVP section. Gathering all of your RSVPs online, on your website, is a lot easier than gathering them on paper. Not only is it actually easier to centralize and count them, but it is actually a lot easier for guests to send them in as well – so you really have all the reasons to do it. · Include a registry. Including registry information on the invitation is a major faux-pas. However, this does NOT stand true for the wedding website too. In fact, it is completely recommended to include this on your website – especially if you have online stores you have registered to as well. It will make it so much easier for wedding guests to purchase and send the gift they have picked for you – and, of course, it will make it easier for them to make sure you will actually like the gift too. · Include maps and GPS coordinates. Making sure your guests can actually reach your wedding location is crucial – so remember to include a section to provide them with maps and GPS coordinates. If they’re on their smartphones, they will be easily able to just tap the coordinates and follow the instructions to find your wedding venue. · Make it personal. Same as everything wedding-related, your wedding website should feel personal and unique. Coordinate its design with that of your wedding invitations to make it look part of a “grander plan”. Also, remember to add a section with engagement photos, wedding sneak-peaks, and so on – it will make guests feel invested in your wedding and excited about the upcoming event. 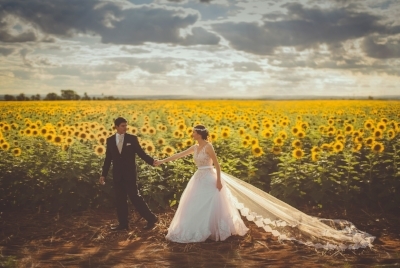 Have you booked all of your wedding vendors for your Big Day in New Mexico? If you’re still searching for the right ones, remember to contact New Mexico Wedding Expos & Guide and come visit our show – you won’t regret it! Your bridal bouquet is more than just an accessory – it’s part of your wedding look and, in the end, it’s part of what is supposed to be the most beautiful day of your life. Your wedding bouquet will bring together dreams, hopes, love, laughter, tears of emotion and a lot of meaningfulness. What can you do with the bouquet once the wedding is over? We have some ideas for you – so read on and find out more. · Dry it. Hanging your bouquet upside down and drying it is one of the easiest things you can do to preserve this beauty. Be careful, though – this method does not necessarily guarantee your bouquet will live forever if you don’t handle it very carefully when it’s all dried out. · Press it. This is something you may have done with many other flowers, and it’s a method that’s been around for quite some time. If you want to make sure your pressed bouquet will survive the sands of time, have it framed and covered with glass once it’s pressed. This would make for a wonderful home décor item – so sentimental and beautiful! · Preserve it using wax. This method is a bit tricky, so it’s recommended that you test it out with other, less meaningful flowers first. To preserve the bouquet using wax, you should melt some paraffin in a saucepan, dip the flowers in it, and then rapidly pull them out. Again, this is a very tricky method, so you should definitely practice with other flowers first. · Have it professionally preserved. There are services that will preserve your bouquet, and there are different methods to do this. Some preserve their bouquets using silica gel, others preserve their bouquet in globes – which, same as the framed version described above, would make for an amazing piece of home décor. These are among the most expensive bridal bouquet preservation methods, but, as you will see, every penny will be worth it – your bouquet will stay frozen in time, intact, just as pretty as it was on the day you walked down the aisle holding it.